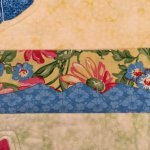 Broadway Border is a smart addition to your quilt and SO EASY! METHOD: "ZigZag Applique", so this is SO EASY! Just stitch on the lines, trim, turn, fuse and zigzag! Accurate and fast with no needle-turning or freezer paper! Strips can reach along entire quilt, overlap each other, or add cornerstones - as simple as a square of matching fabric or a quarter circle as in the red broadway quilt pictured. 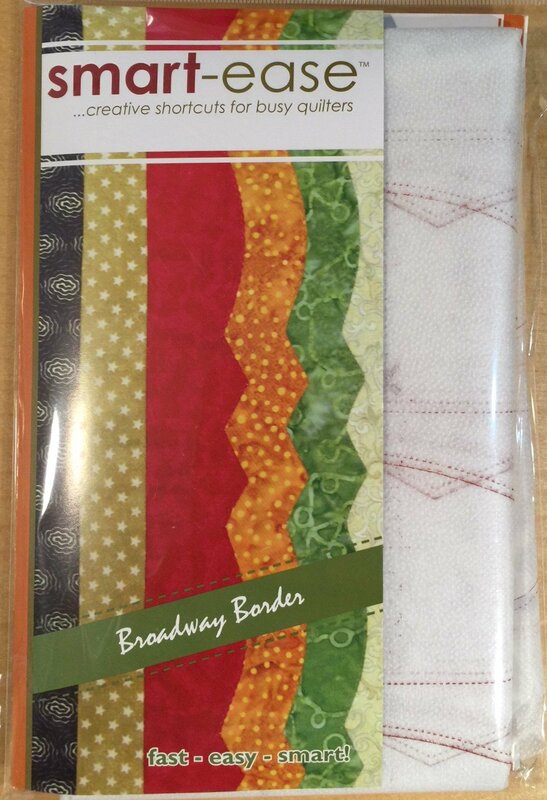 Comes in a 6" x 9" pack with 2 panels of interfacing & instructions to make a total of 7 yards of 2.5" or wider (as wide as you wish to cut your strips) border!